Get 24-hour, 7-day access to secure storage in Richmond Upon Thames, Surrey. Whether you’re renovating, relocating or just need to keep some stuff safe for a short period of time, our Richmond storage unit offers flexibility, security and peace of mind at an affordable price. You can read more about our service on our Which? Trusted Trader profile or on google. Come and go as you please, every unit is alarmed and protected by CCTV. To discuss your storage requirements, please call one of our project managers today on 020 8877 9682. Self storage can be a cheaper alternative to long-term containerised storage. It’s ideal if you’re looking for a temporary solution, for example, you’re between flats or you’re decorating. Our Richmond Upon Thames self storage unit, on the outskirts of London, has no minimum stay and discounts for longer term storage. If you’re looking to store some stuff for the long term, bulk, containerised storage is likely a more cost-effective option. You get the same flexibility as you do with self-storage, but on a larger scale. 2,000+ units in a range of different sizes. Each unit individually alarmed with CCTV protection. Modern, clean and dry storage facilities. ‘Mini Storage’ or Left Luggage – short term storage by the item, daily and weekly. Richmond Upon Thames is not inside the London Congestion Zone, so you can drive to your storage unit without having to pay the Congestion Charge. Make an inventory. Your stuff is protected and secure while in storage, but it’s always smart to keep a record of what you’ve put in. This way, you avoid wasted time looking for things you could have sworn you had, but that you’d actually put into storage. If you’re feeling really organised, measure everything up BEFORE you put it in storage. That way, if you want to move your stuff into a new property, you’ll be able to measure up without needing access to your storage unit. Take photographs. Keeping a photo record is super handy if you need to move anything. Think of it as a cheat’s way of taking measurements if time is tight. Pack smart. 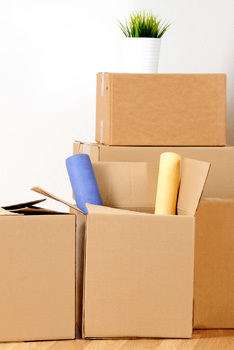 Over-packing adds weight and bulk to your items, making them harder to move and potentially more costly to store. 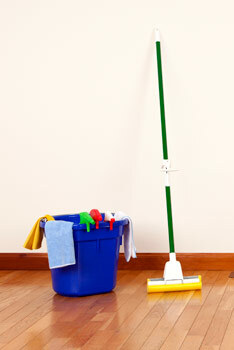 But under-packing before putting stuff into storage increases the risk of damage. Use high quality packing material and wrap fragile items individually. Why store two half-full tins of the same paint when you can keep it one container? The same goes for other substances and items that you can transfer to a common container. Storing suitcases? Make sure you fill them with something. Don’t pay to store fresh air. No perishables. It’s common sense that you wouldn’t put food in a storage unit, but what about toiletries? Paints, fragrances and some gardening products are perishable too. If you’ve got spare gardening products for example, considering donating to one of the borough of Richmond’s 125 allotment spots. Do a cost analysis. Some things are just cheaper to replace than to store. We’re not saying ignore your environmental concerns and be wasteful, but if you’ve got a box full of gym clothes knocking about, why not donate them to charity and replace them with new ones with the money you’ll save not storing them? Richmond upon Thames has plenty of charity shops that’d be grateful to take things off of your hands. The Octavia Foundation is at 435 Upper Richmond Road. They accept clothes, books and homewares. Left Luggage – Going on holiday or between flats, leave your suitcases, bikes or boxes with us.